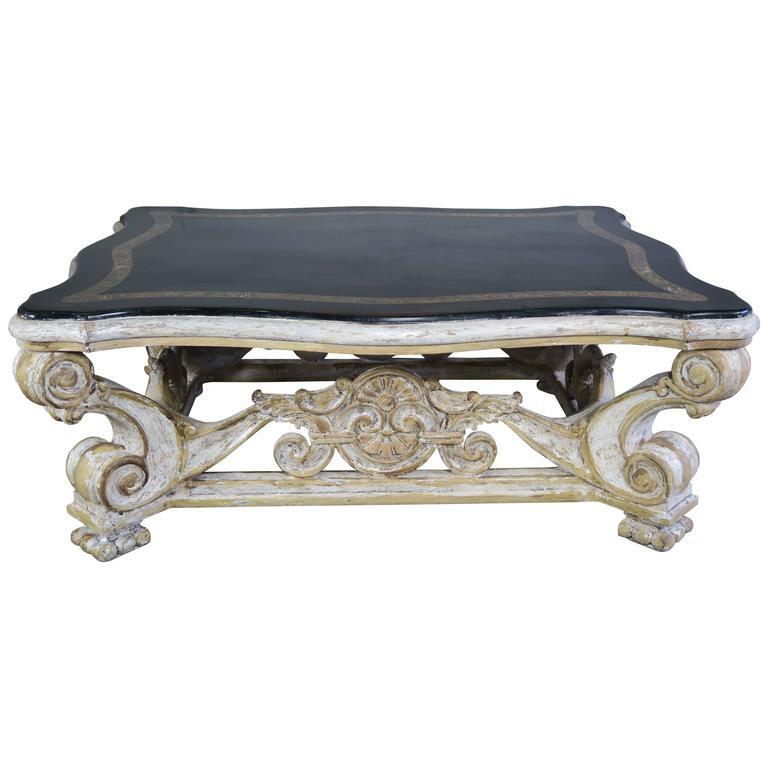 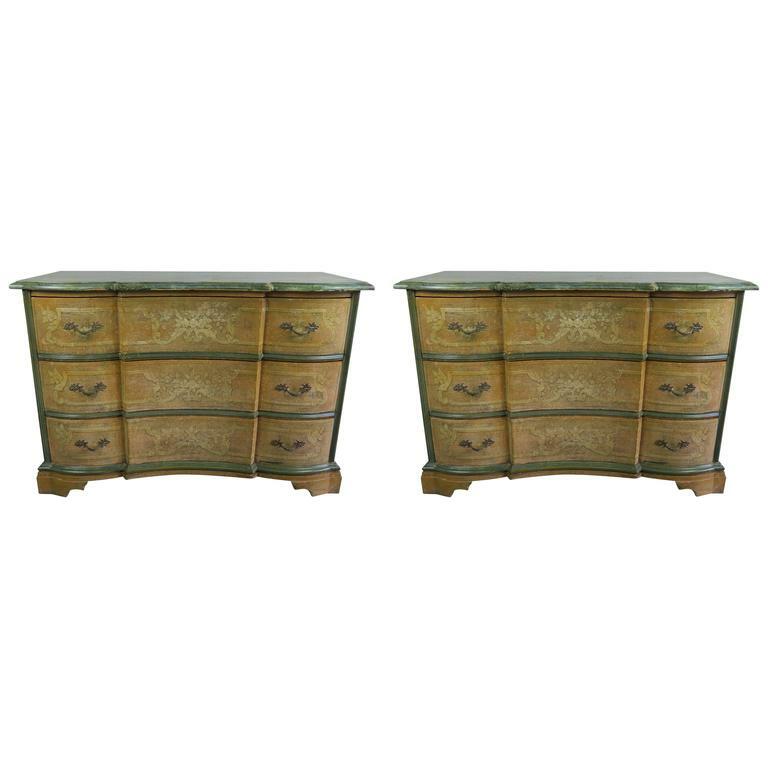 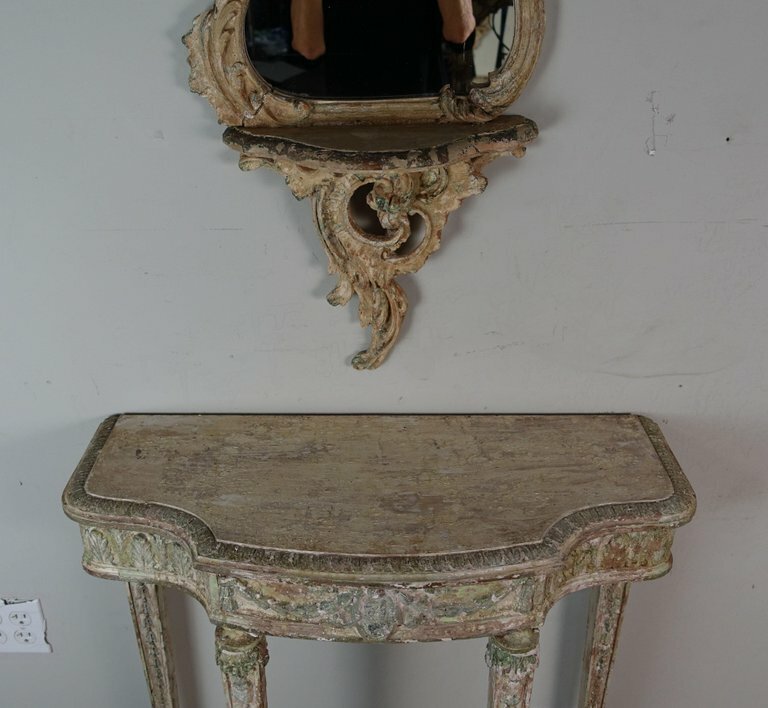 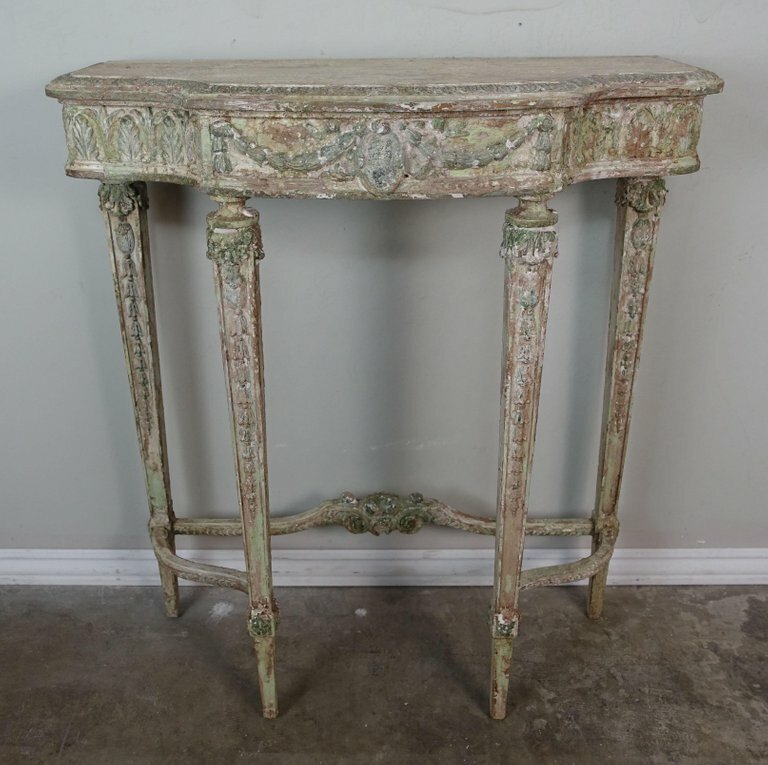 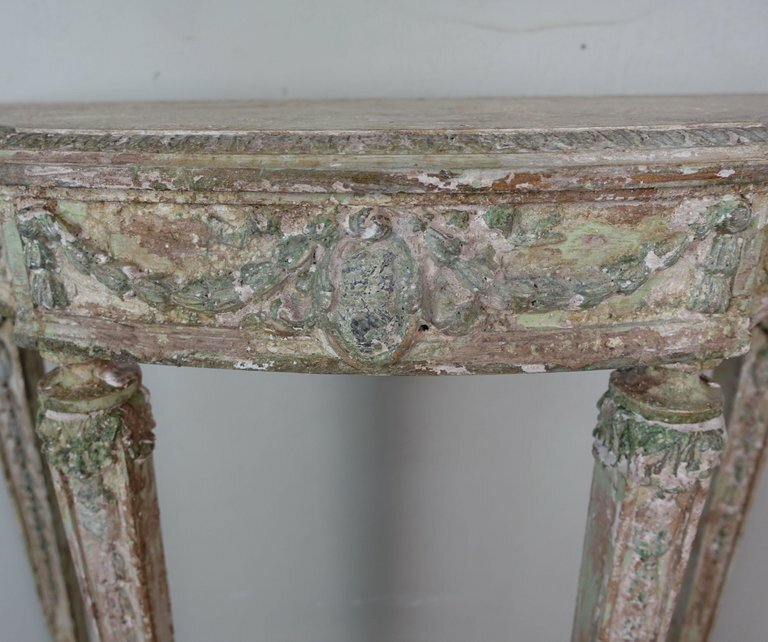 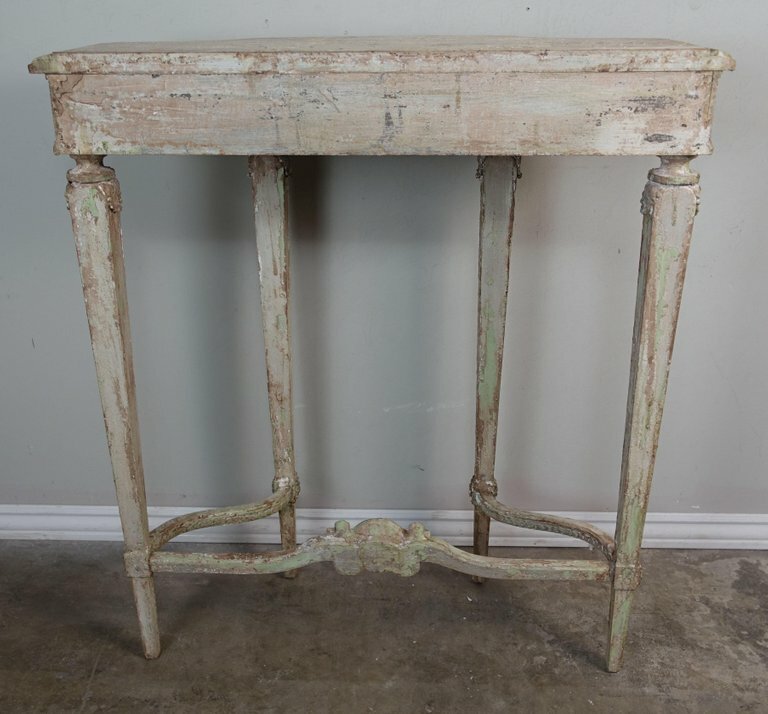 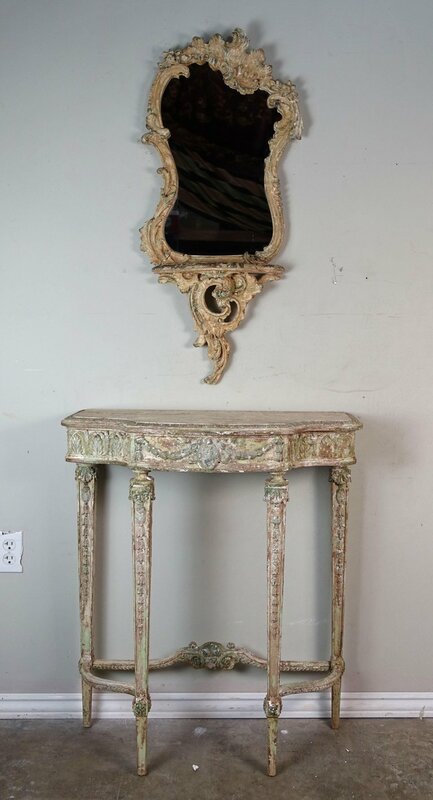 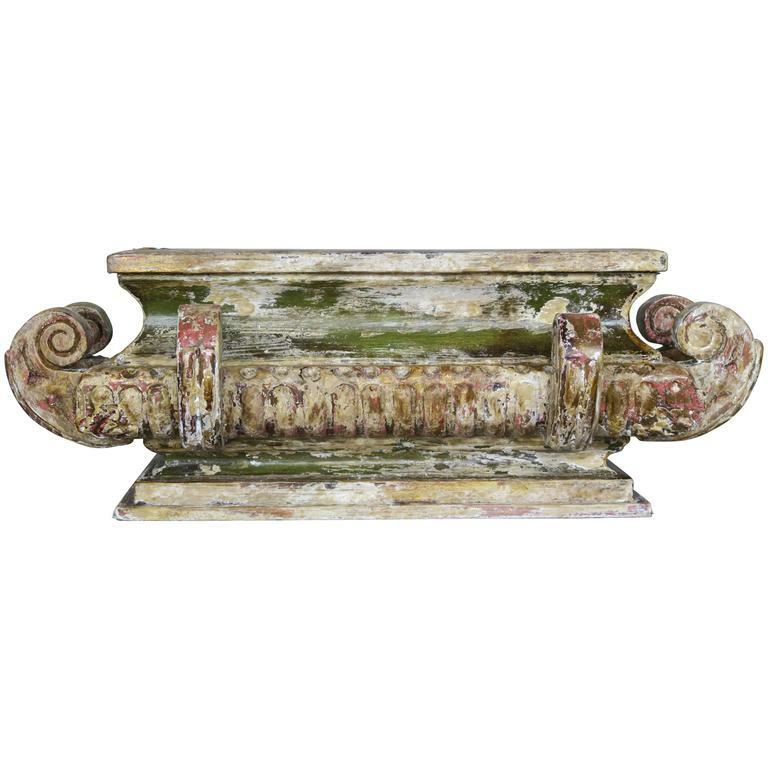 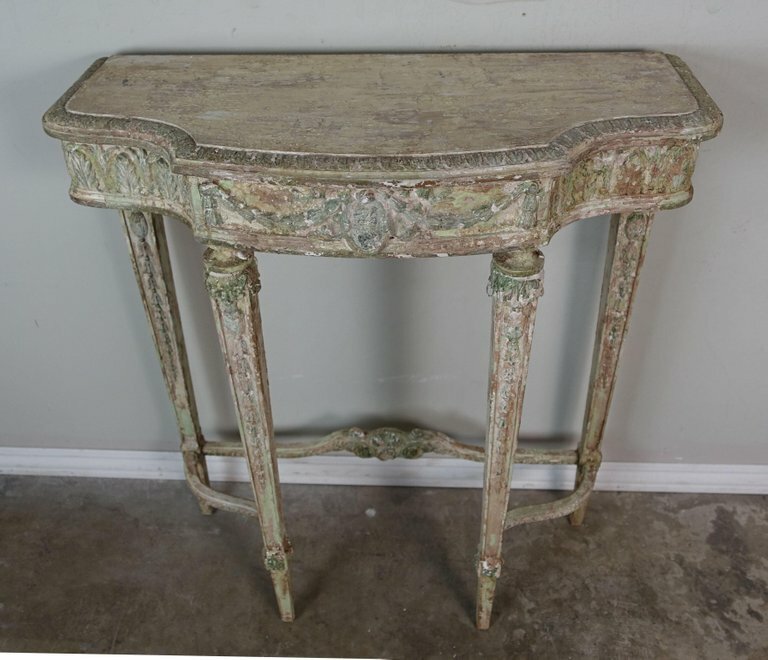 French painted neoclassical style console in a worn, distressed finish. 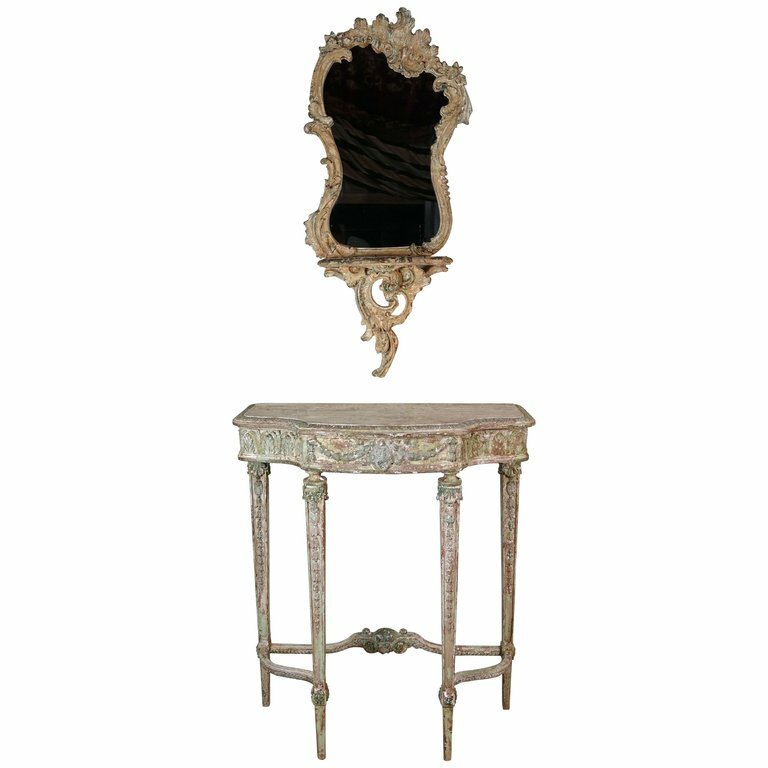 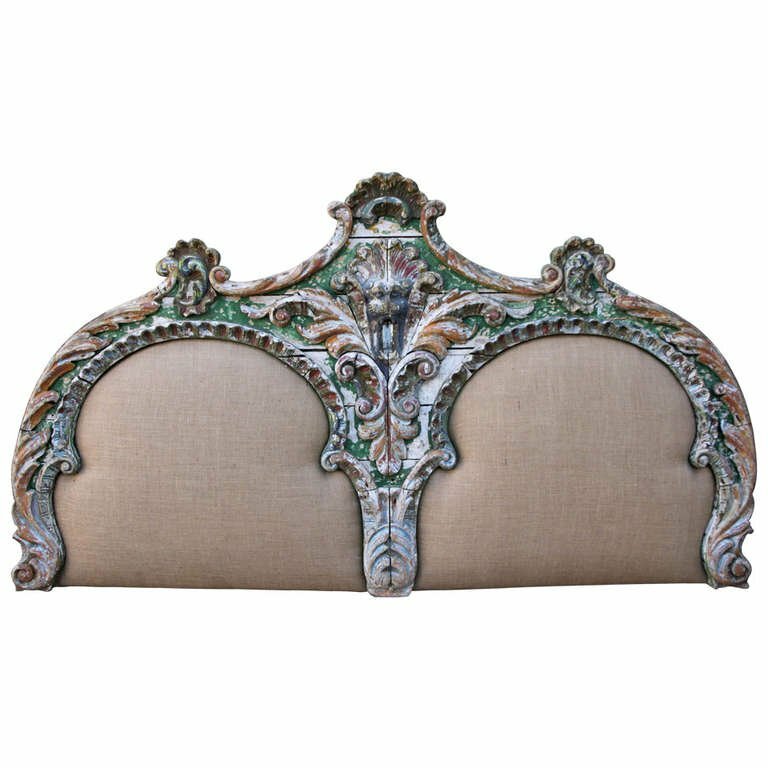 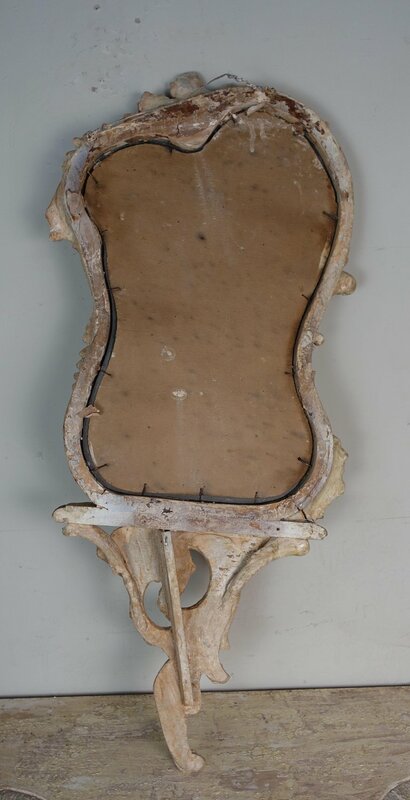 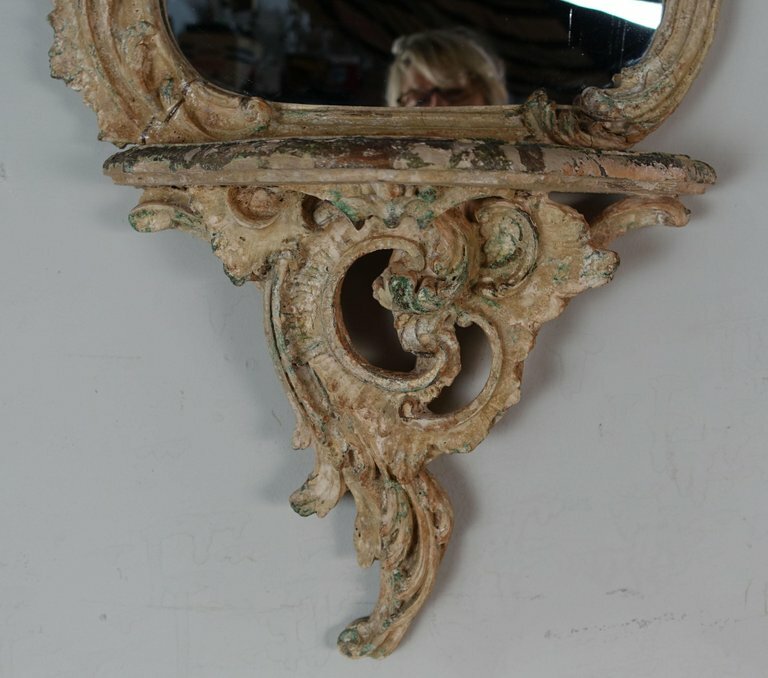 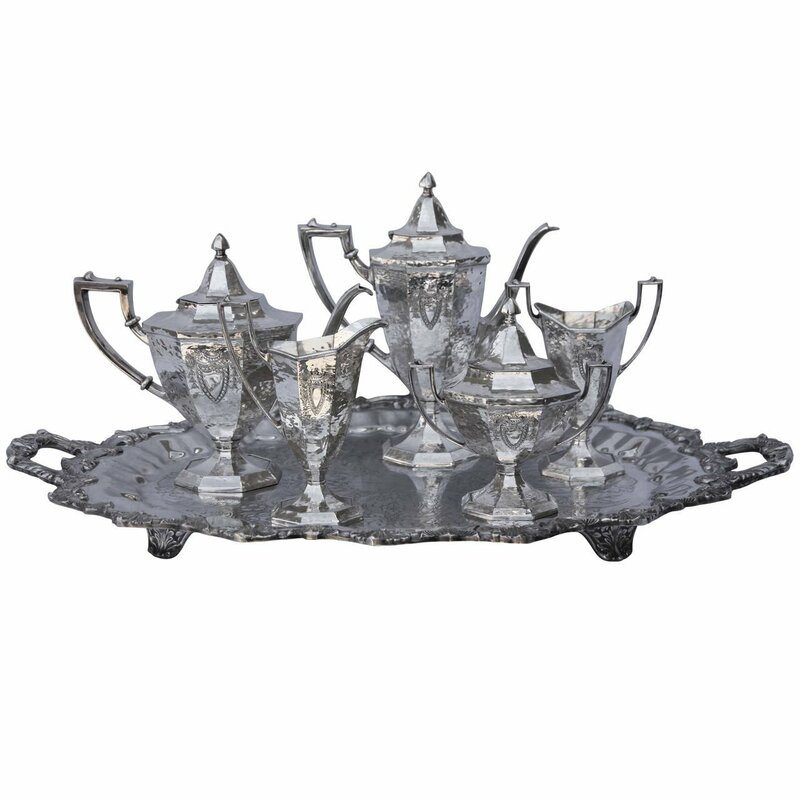 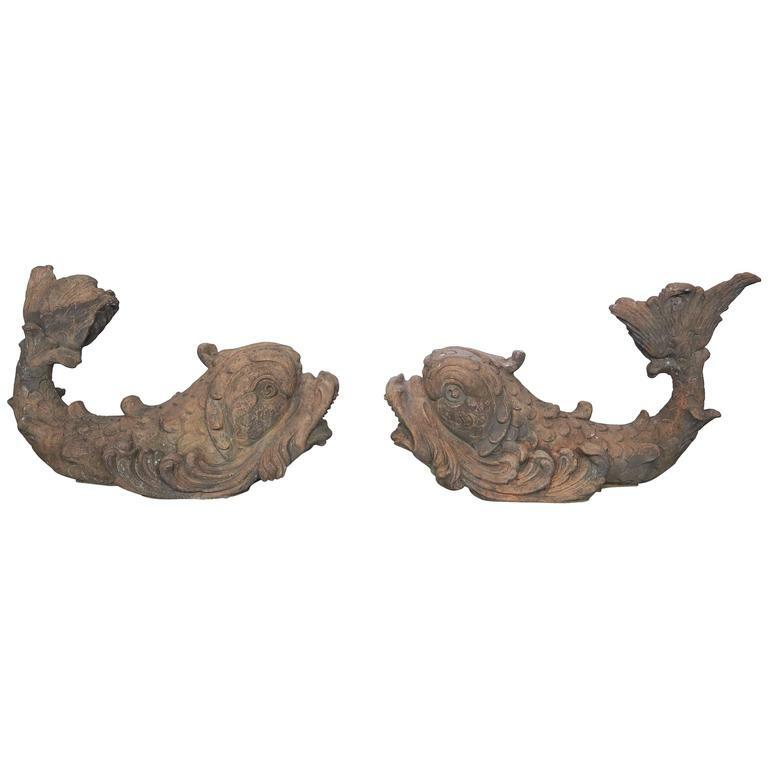 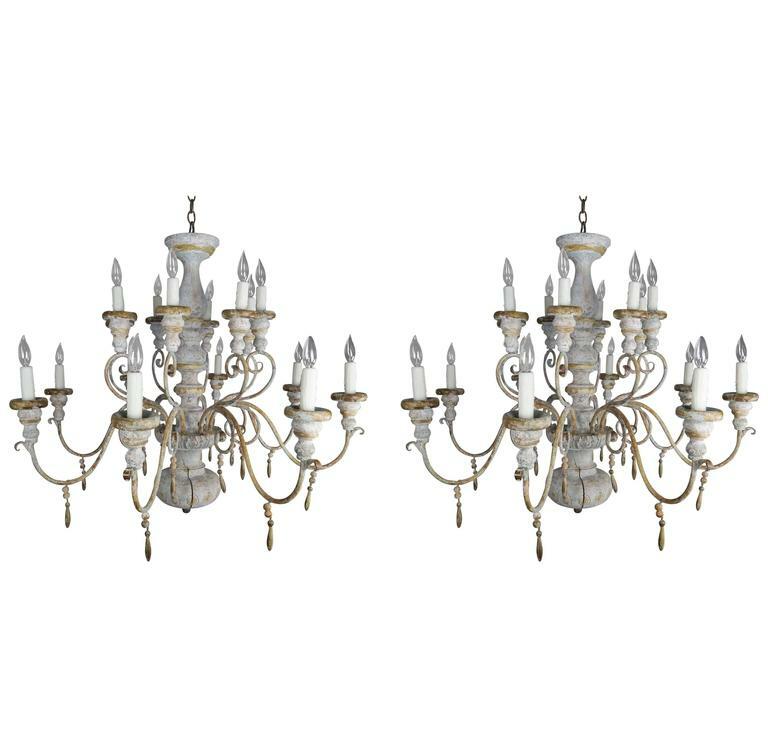 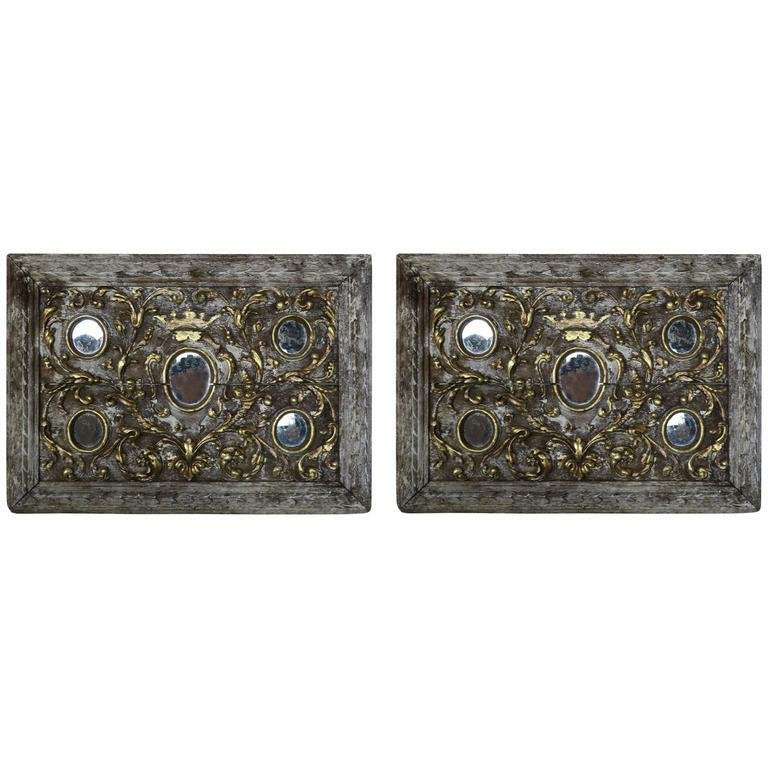 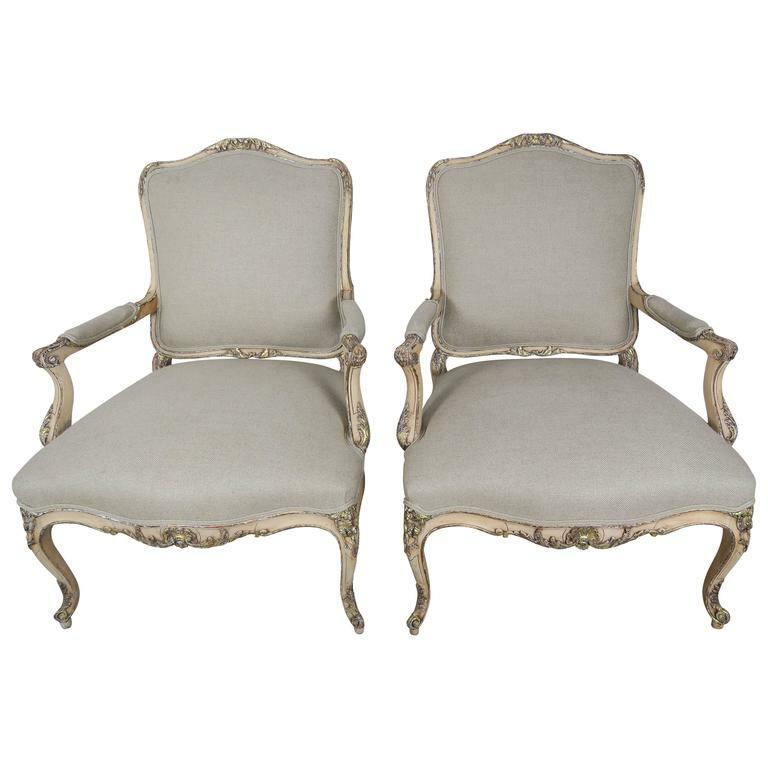 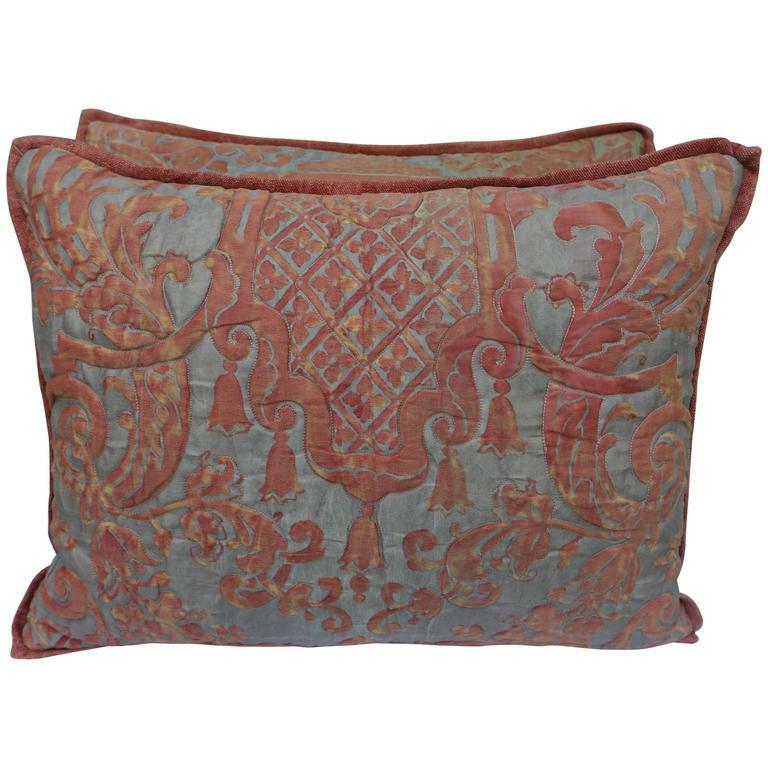 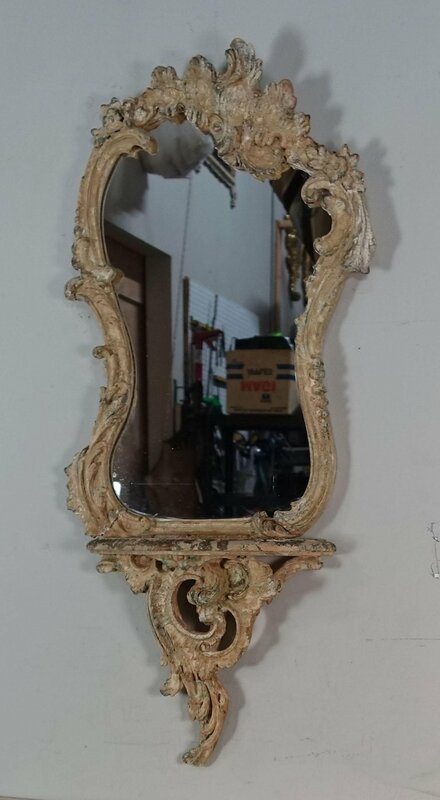 The mirror is Rococo style with carved roses and acanthus leaves throughout in a similar worn, distressed finish. 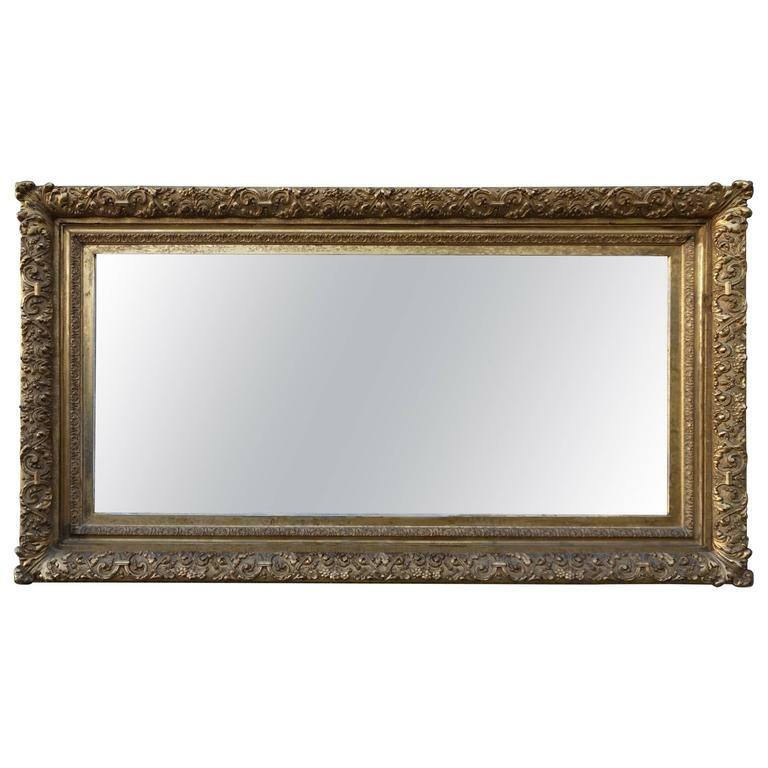 Mirror measures 17″ x 7″ x 38″ includes depth of shelf.